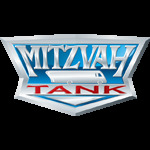 The 45th annual Mitzvah Tanks will parade from Brooklyn to Manhattan on Tuesday, April 16th honoring the 117th anniversary of the birth of the Rebbe. Following the parade they disperse to various locations throughout the city spreading the message of Passover to the Jews of New York. The Annual Pre Passover Mitzvah Tank parade consisting of 45 converted motor homes and their crews of rabbinical students travels throughout the NYC metropolitan area, encouraging people to increase in acts of goodness and kindness. The Mitzvah Tank parade marks the the birthday of the Lubavitcher Rebbe, Rabbi Menachem Mendel Schneerson, considered the most influential rabbi in modern history. Men, women and children are invited to come on board and do a mitzvah, a good deed to bring more holiness, goodness and kindness into the world. The Tanks are equipped with Passover needs for the upcoming holiday, including hand-baked Shmura Matzah. People also have the opportunity to don the Tefilin and pray, receive Shabbat candles and inspirational literature for Jews and non-Jews. The tanks’ rabbinical crews are certain to be busy all day. The parade departs from Lubavitch World headquarters in Crown Heights, Brooklyn, NY. The parade crosses the Manhattan Bridge and rides north on 6th Ave until 59th St. The parade continues south on 5th Ave until 23rd St.